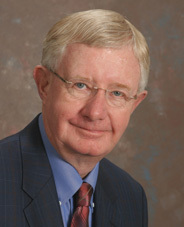 Beyond the Score | Author | Jim Sheard, PhD. Hello! I am Jim Sheard, your host at this site and the author of six books of encouragement for golfers and athletes and two other books described below. I am an average golfer with a handicap that I will not reveal until we are on the first tee! Though I wish I could boast a lower handicap, I love the game of golf. I believe it is analogous to life and our Christian Faith. The game can provide us with both excellent life lessons and also relationship-building opportunities. I retired as an executive and consultant in Human Resources over 15 years ago. I took some time to get myself back to a place of health and found comfort in writing. I then wrote a best-selling Christian devotional for golfers with Wally Armstrong, called In His Grip. The book was enhanced with a Forward by evangelist, Billy Graham and an Introduction by golfer, Tom Lehman. In His Grip was followed by Playing the Game, Finishing the Course: Strategies for the Back-Nine of Your Life, The Master's Grip, and A Champion's Heart. A self-published book about my dad's illustrious life in the mountains of Colorado was called Happy Trails to You. More recently I have coauthored Fingerprints of Faith with Lenore Else (www.fingerprintsoffaith.org) and Relationship Marketing for Solopreneurs, published online with Larry Keltto (www.thesolopreneurlife.com). 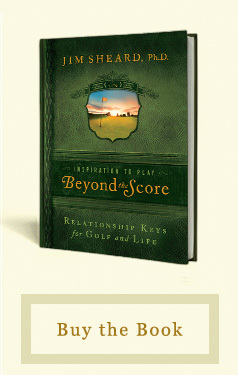 Beyond the Score: Relationship Keys for Golf and Life is both a capstone to what I have done and the launching of a new era of writing and products. I live in southern Minnesota, except when I am escaping the harshest months of our winter by spending time in Florida. I work on my writing and speaking projects nearly every day in my little local coffee shop that I fondly refer to as my "office." I have twin sons who are married with beautiful families of their own. I adore and cherish time with my five grandchildren. I play golf two or three times a week and have recently been successful in making myself a regular at my local fitness center. My Ph.D. is in industrial/organizational psychology from Colorado State University.